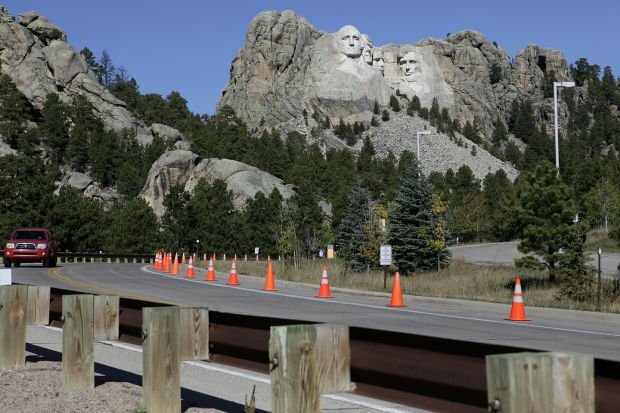 Cones were set up several hundred feet before and after the approach to Mount Rushmore National Memorial along Highway 16A to direct tourists away from the area. Many tourists tried pulling off on the side of the road to catch a glimpse, only to be told by park rangers in the area that they were not allowed to pull over unless in one of the very few designated pullouts. I hope those park rangers feel like utter fools, placing cone barriers on a public highway, to keep senior citizens (face it, who else is traveling in October?) from snapping pictures of George Washington's head. If Gutzom Borglum was alive today, he'd be turning over in his grave, which is a terribly mixed metaphor, albeit. Gutzom spent fourteen years drilling into the mountain, subsisting on paltry depression-era funds, to complete his masterpiece, hoping (in his cranky way) that people for millenniums would stand and marvel at the stone heads carved into rocky spires in the Lakota land of what is now South Dakota. Government bureaucrats? He would have swatted them away like the blood-sucking mosquitoes they were. In 1941, people left other people alone. The government didn't lay claim to a state highway, nor did they paste a tariff stamp on Thomas Jefferson's jaw. I'm not the fighting sort, but if I was meandering down Needles Highway and some guy in a flat-brimmed hat stopped me and tried to tell me I couldn't look at the tunnels or the evergreen spires or George Washington's face, I think I might just step out of my car and sucker punch him right in the gut. So, you wanna make things as difficult as possible for your citizens to experience the wonders of the USA? So, you wanna tell eighty-year-olds they can't roll their wheels across a cement walk to visit a monument, for the last time in their lives, that they created? I guess there are people out there who love, LOVE government. 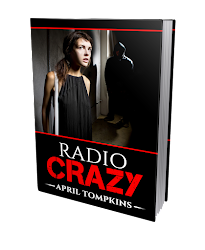 Who think government is their security blanket. All I'm seeing right now is a government that steps on us - our hopes, our dreams, our humanity. A government that erects orange cones on Highway 16A. And shame on the cowering minions who block people like me from seeing things that belong to US. Right about now, Gutzom Borglum is wondering why in the hell he ever scaled that mountain.